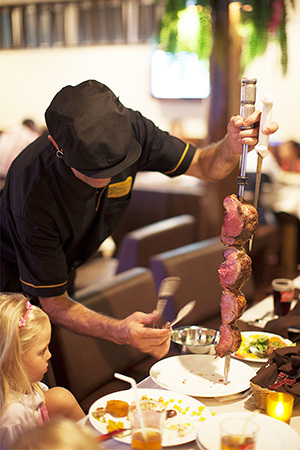 Platters of savory meats are wheeled out of the kitchen by servers who wend their way through the dining room and at each table carve slices of crisp, juicy, beef, pork, lamb, chicken and other items as well as plump Brazilian sausages. 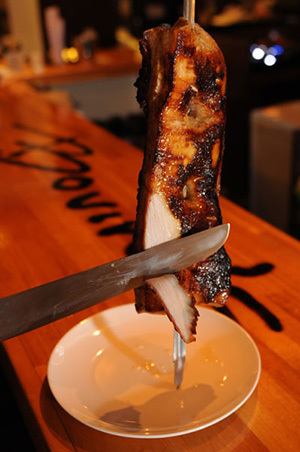 Since Bovino's signature presentation involves carrying the oven fresh delicacies through the restaurant, Bovino's is non-smoking throughout, even at the bar. Bovino's is open daily for lunch and dinner. 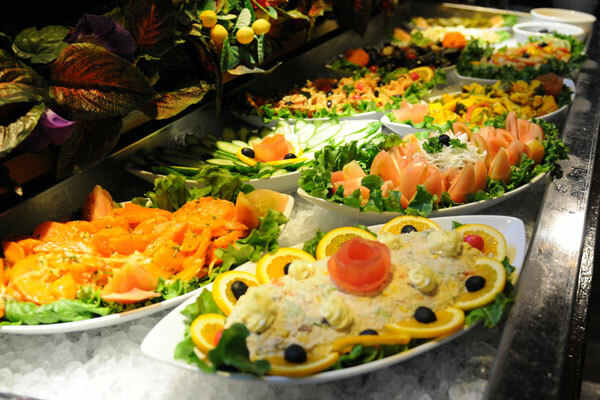 All-you-can-eat meals come with salad bar. Lunch costs 1,490 yen for adults and 890 yen for kids 5-12 years old and comes with a 70-minute time limit, which is probably more time than most of us spend on Sunday supper at home. Dinner is 3,090 yen for adults and 1,390 yen for kids and is limited to 90 minutes. There is a 10 percent service charge. 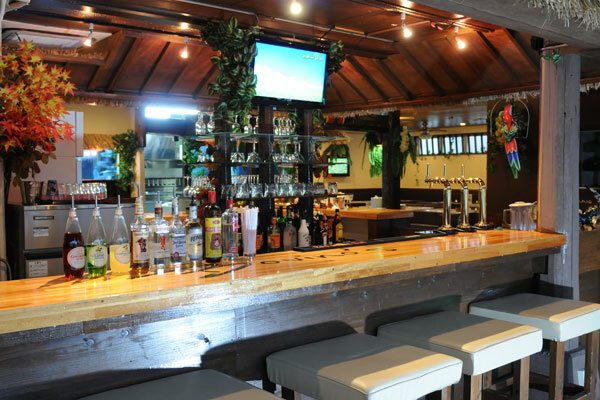 Bovino's also has a full bar, complete with Brazilian cocktails, which makes an already bright and friendly eatery a great nightspot as well. 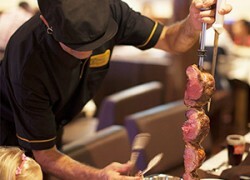 What would a Brazilian-style restaurant and bar be without samba? To round out the week, Bovino's puts on a show featuring this unique musical and dance tradition every Thursday. Casual dress and a healthy appetite are highly recommended!